In last week’s Scrivener post, I introduced the use of Collections as a multi-function tool. This week, I’d like to address the usage of this tool by focusing on my ongoing structural edit of my second novel, An Arrow Against the Wind. First, let me define structural edit. This is the kind of editing where you might re-organize your draft so that flows better. It’s also the type of editing whereby you discover all the holes and inconsistencies within the draft and try to fill them. 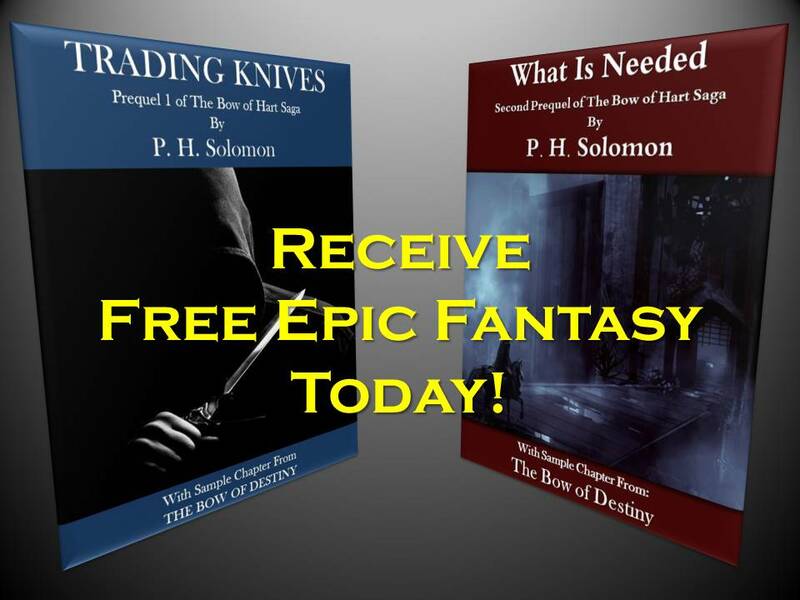 Another way of addressing the structure is to bring consistency to style as well as characterization, plot and other basic elements of the book. Next let me describe the situation with my rough draft and how I’m approaching it. While writing An Arrow Against the Wind, I realized I had numerous holes to fill. This was due in large part to removing a sub-plot from the series to publish later as a parallel series. This left a need for more words for An Arrow Against the Wind. I’ve already made decisions about what needs to be added where. My approach at this point, is to handle all the big structural issues of content. This means writing more in a number of places while I’ll handle style inconsistencies after the additions are completed. So at this point, I want to make a collection that includes all the planned additions and keeps something of a schedule at the same time – the latter so that I stay on-time for the first hand-over of the manuscript to the editor in a few months. For this Collection, all I need to do is choose all the empty documents that need content added and include them. So I highlighted the first chapter that needs more content and created the Collection using the instructions I mentioned from last week. 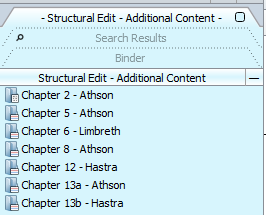 I named it “Structural Edit – Additional Content”. 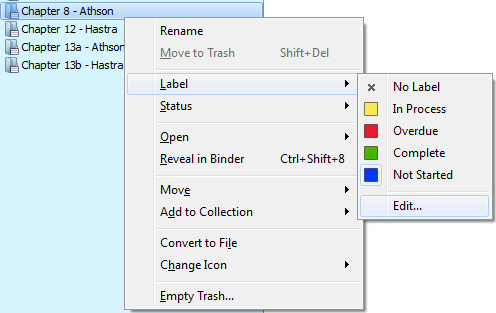 From there I began to add all the empty documents that need work by clicking on the Binder tab in the Collection and right clicking on each targeted document and adding it from the context menu as pictured. So now I have what I need to begin to set a schedule to complete each necessary document. I can assign a label and a status to each of these from the context menu – which is adding Scrivener meta-data. 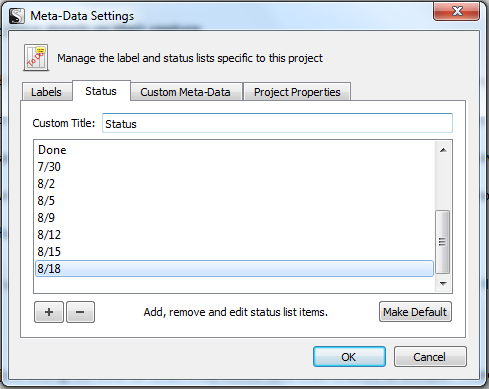 I chose to edit the standard status and label meta-data to fit my work. 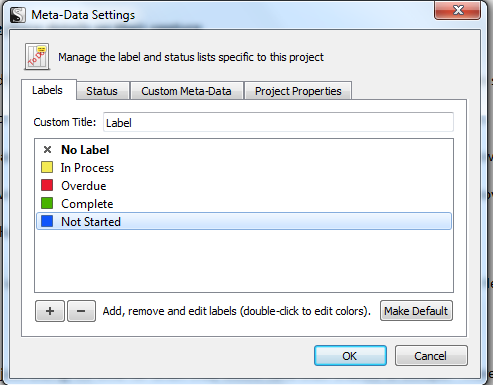 To do this go to either Label or Status to get a fly-out menu of available choices after right-clicking on a document. Choose edit and make your changes. First I edited the Labels to add deadline dates for each of the documents and assigned them successively to each one. Then I created a custom status for each category I need: “In Process”, “Overdue”, “Completed” and “Not Started”. I then set all the documents to the last one. Now I have my deadlines and can assign a status to each document as I progress, finally removing them from the collection once completed. So now my Collection is complete. I can choose to view only the Binder by toggling off the Collection (Ctrl+Shift+9) or clicking View, slide to Collections for the menu and click Collection. To toggle the Binder on go to the same menu and click Binder. To go back into my collection, I can use the same menu and click on the named Collection where it appears in the list below Binder – in this case I only have one Collection (though I’ll have several over the next several weeks). And that’s how I’m using Collections in Scrivener to begin editing An Arrow Against the Wind. Next week I’ll add another collection for my structural edit encompassing stylistic changes. After that, I’ll proceed onto other uses for Collections in my editing. 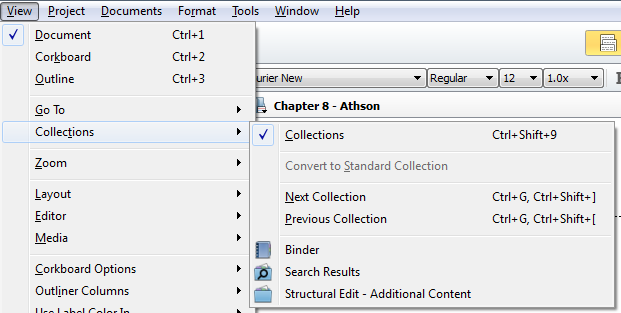 Have you tried using Collections yet in Scrivener? Please share your thoughts and ideas in the comments section. 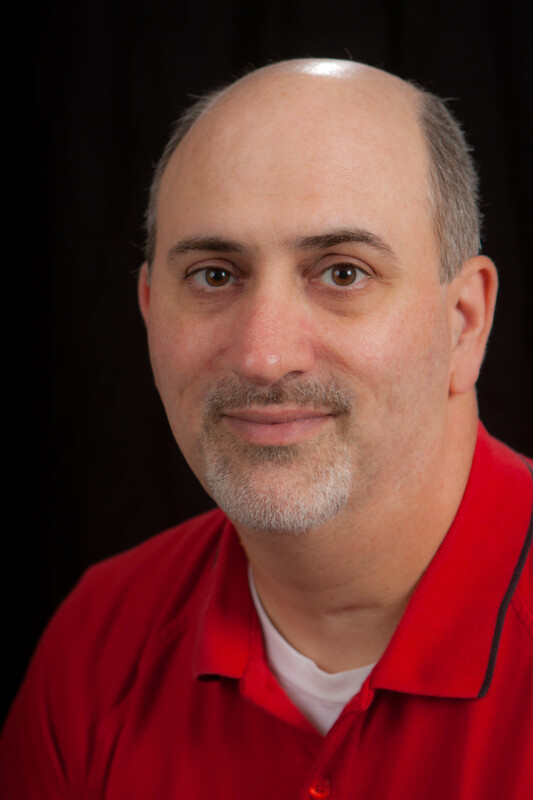 I’d also love to connect with you over social media so check my Contact page for that information. Great tips! I love Scrivener, but I never thought to use the collections quite this way! Thanks for the comment, glad the post helped you out! Check out this helpful post from the Archer’s Aim blog on using Scrivener collections for editing.